Well done! You have completed the first B4s clinic. This stage aimed to teach you the basics that will assist you to train safely and efficiently. In ordere for us to deliver the best possible experience, we would greatly appreciate your feedback. Below, is a short, 7 question survey which covers your experience in the course. Please complete this survey after you have completed the practical component of the clinic. Relaxation techniques for static training. The second course is aimed towards increasing your depth safely and deepening your understanding of the physiological changes that take place during the dive. The third course will take you to a whole new level of understanding and performance. 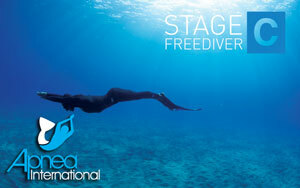 This course will focus on the mental aspects of performance freediving and will provide insights in its various aspects. To enroll on this course you will need to have experience and understanding of your technique and breathing. The instructor will assess s your performance, pinpoint your weak points and help you overcome them. This course will teach you techniques that will allow you to dive deeper than 40m. 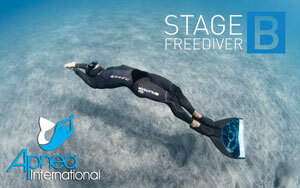 Apnea International offers specialised spear-fishing classes. The courses teach safe spearfishing techniques, codes of conduct, gear, rigging and other subjects. The last step in the ladder is the instructor course. 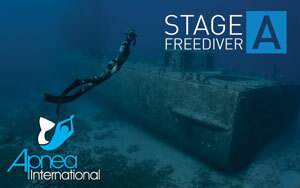 This course will allow you to teach “Apnea International” courses.